In one of his talks, the Rebbe Rashab said that words of chassidus elevate a person a tefach above the ground. A chassid from "Poland" was present on that occasion and contributed that he heard in the name of R. Menachem Mendel of Kotsk that singing lifts a person three tefachim above ground. The Rebbe responded: "...one needs to know how to sing. There is a type of song of "the cows sang I Shmuel 6:11) ", and such song certainly does not elevate. However chassidus always elevates a person a tefach above ground". A YouTube video released one week ago depicting a prominent American rabbi visiting the Temple Mount in Jerusalem has sparked a new round of controversy about whether it is permitted for Jews to enter Judaism's holiest site, which is believed to have been the location of the Holy Temple. After seeing the miracle that ocurred to Hananiah, Mishael, and Azariah , Nebuchadnezzar praised God; and he was so carried away by his songs that had he continued he would have surpassed David, but an angel forced him to desist (Sanh. 92b). Yet this did not prevent him from massacring all the 600,000 Jews who had obeyed his command and worshipedthe idol, and whom he reproached for not having followed the example of the three pious men and trusted in God (Pirḳe R. El. xxxiii.). We can now understand this Chazal in contxt, for we have several examples of Nebuchadnezzzar's religious poetry. Without you, lord what is existence? For the king you love, whose name you called and who pleases you-you advance his fame.I am a prince you favored, a creature of our hands. You made me and entrusted me the kinghsip over all men. By your grace, lord, who provides for them all, cause me to love your exalted rule. Let the fear of you be in my heart. Grant me what seems good to you; you will truly do what profits me. One sees again how informed, or aware Chazal appear to be, how prescient about discoveries that came so much later. We see in this fragment the ability of the wicked Nebuchadnezzar to creat great poetry, so technically proficent, in fact, that an angel had to come and stop him. No it's not an aid to prayer. Now Yiddish-speakers can use GPS in Yiddish to locate more than 10,000 unique Jewish interest points - including the addresses and telephone numbers of thousands of synagogues, mikves (ritual baths) and kosher restaurants. 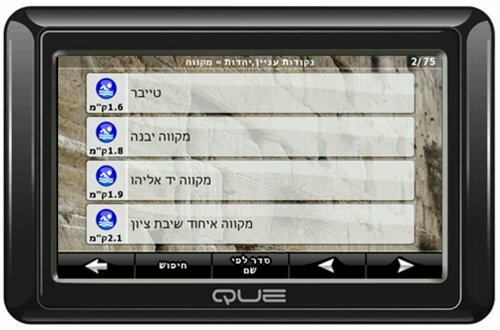 When the device is switched on, the user is automatically shown the Travelers' Prayer. Instead of pressing "OK" to skip to the next screen, the option is instead "Amen." The Pasover Haggadah is probably the best recognized Jewish text outside of the Bible; it is also one of the least understood. Who has not been frustrated by its apparent lack of clear organization, its seeming jumping from topic to topic, and its many digressions and tangents. One is faced with a collection of disjointed paragraphs that only tenuously connect to one another but without an overall apparent structure. If we recognize it as a midrashic commentary, however, these features, with which we are already familiar from the midrashic literature, become much more intelligible. The introduction to the Malbim Haggadah includes precisely such an analysis by the 1894 publisher and compiler of this haggadah. For the complete translation see the Malbim's Haggdah (Targum Press, 1993 by J. Taub and Y. Shaw) or an adaptation at http://www.ohr.edu/yhiy/article.php/802. The source verse for midrashic expansion is: And you shall tell to your son on that day saying, because of this Hashem did for me in my going out of Egypt. (Shemos 13:8). The key words and concepts of each section of the verse are repeated and recombined in the corresponding sections of the Haggadah. 1. The first eight paragraphs, beginning with "Avadim Hayinu" and concluding with "The son who does not know how to ask", are an explication of -- And you shall tell to your son. Each paragraph contributes an essential element to describe the words "V'higadta l'vincha", "And you shall tell to your son": the basics information, the importance of telling it, that even the greatest Sages engaged in it, and the role of sons in this process. 2. The next section starts exactly with the words of the verse which it explicates - " (Ykhol M'Rosh Chodesh, Talmud Lomar) "on that day" - Bayom Hahu", on the day, and which describes the proper time for this obligation. 3. The third section corresponds to the third phrase, "Leimor -- saying", and contains the saying of the story of the Exodus. This section of the Haggadah starts with "Mit'chilah Ovdei Avodah Zarah Hayu Avoseinu" and continues with "Tzei u'lmad". These sections are followed by "Kammah Maalos Tovos" and "Al achas kamma v'kamma", which we say as praise. 4. Rabbon Gamliel's explanation of Pesach, Matzah and Marror, containing and interpreting this part of the verse - because of this. 5. Here we say, "In every single generation one is obligated to look upon himself as if he personally had gone forth out of Egypt." This explains the "Asah Hashem li -- Hashem did for me" in the above verse. 6. The sixth section of the Haggadah begins with "L'phichach" "Therefore we are obliged to avow thanks", an introduction to the recital of Hallel, and the first half of Hallel itself. The latter, of course, contains in its second paragraph these very words from our verse "B'tseis Beis Yisrael Mimitsraim". Thus the arrangement of the entire Haggadah turns out to be based on one verse, albeit the key one, that serves as the source of the obligation to retell the story of the Exodus. I would also like to point out that within the general pattern, there are a number of other midrashic style sub-passages, such as in the third section, the midrashic commentary to Devarim 26: 5-8 or in the second section, the Mekhilta passage on B'Yom Hahu. These are in the style and arrangement of Tannaitic midrash, such as Mekhilta etc. These features of the Haggadah would argue for its composition at the same time that the popularity of Midrashic approach was at its zenith, around the time of R. Akiva, R. Yishmael and their disciples. This conclusion is at variance with the one reached by the abovementioned introduction to the Haggadah which, on other grounds, concludes that it was written at the time of Rebbi and organized in its final form by R. Nachman. A different approach is presented by R. Reuven Margolius introduction to his Haggadah in which he draws the same conclusion from the style of the Haggadah. 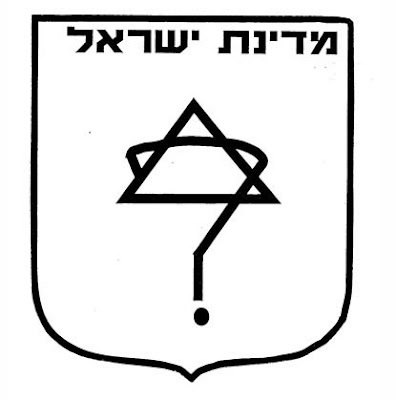 He suggests that the child asking questions corresponds to the customary design of a public derasha which started from a student's question (in his usual way he supports this with many references) and then meandered through assorted subjects, praised the Torah and its students, told stories of Sages and Forefathers, and ended up by ultimately answering the original question. In the same fashion, the head of the family functions as the Darshan, the son as the student who asks the question, and the haggadah as the customary derasha with all of its customary components. I understand that the new JPS Haggadah also devotes (too?) much space to the questions of composition, history and structure. 1 The English adaptation of Malbim's Haggadah is followed by an appendix in which this introduction is ascribed to R. Naftali ben MaskilLeAison. It also argues that the Haggadah commentary was also composed by him "in the style of Malbim". 2 The Haggadah thus serves as a midrashic expansion of the verse; however, it may also be organized around this verse for mneumonic purposes. This arrangement allows everyone, even the not particularly learned members of the Jewish nations, to conduct a roughly the same Seder as everyone else. Rashi: If it adheres to the rib, rather than muscle, it is NOT kosher. What if it attaches to both the muscle and the rib? Rambam (Shechita 11:10) quotes his father as ruling strictly, but he himself rules leniently. "A great principle in areas of doubt that are not resolvable with Talmudic proofs, and must be resolved with logic, is that one must follow the decisions of the Rambam, especially in areas relating to nature, such as this one and others like it"